Check-In has never been so easy. 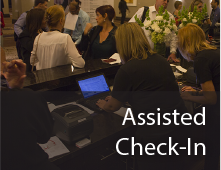 Speed up your Check-In and improve attendee morale by using on-demand badge printing. 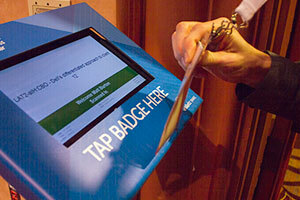 RFID Badges provide greater security while gaining valuable insights into attendee behavior. 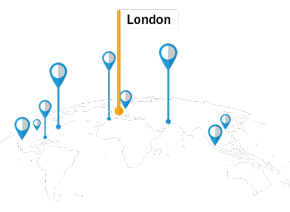 In order to support capabilities such as near real-time badge deactivation, we are also integrated real-time with most major registration systems across the world – bringing you and your attendees a seamless onsite experience. 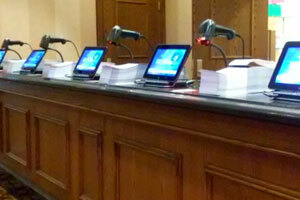 We understand that pre-printing can be a waste of time and resources. 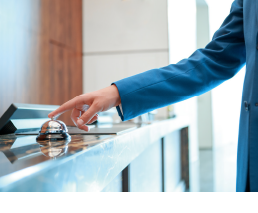 On-demand badge printing options improve your Check-In process by eliminating waste and providing insight for future events. Badge prints in seconds while attendee is given appropriate event materials. 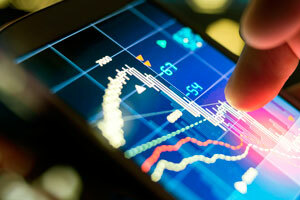 If RFID technology is utilized, RFID tag is encoded and verified in one step. All RFID badges can be disabled remotely if needed for security purposes. 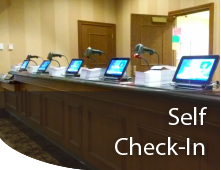 Satellite Check-In allows attendees to register and print badges offsite at their hotel. This is a great option when accommodations are far apart and running simultaneously. 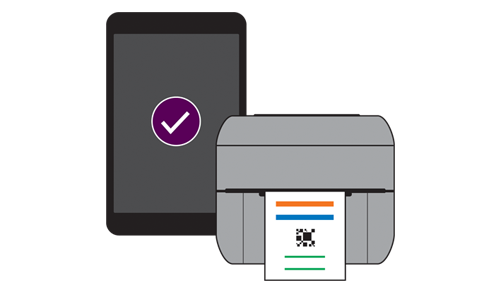 Using on-demand badge printing also helps you avoid printing multiple attendee badges for each location, as they are printed & encoded dynamically.